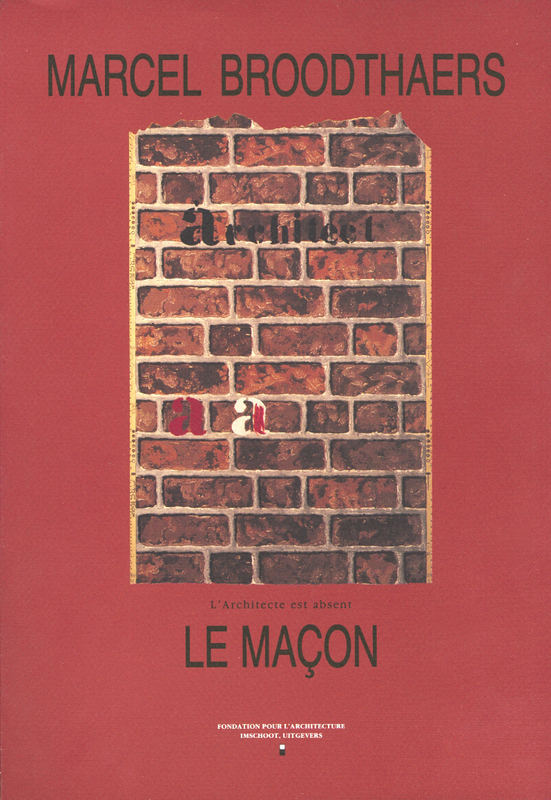 A nice, off-the-wall (ha) catalogue looking at the broad theme of architecture in Broodthaers' work and writings, particularly his obsession with masonry and the recurring theme of the brick. Also many reproductions of preparatory sketches for many of the plastic vacuum-formed Musee des Aigles signs. Text by Bartomeu Mari. Ghent: Fondation pour L'Architecture and Imschoot, Uitgevers, 1991. Illustrated. French.